Image: Legal trap intentionally vandalised by a member of the public in Scotland. 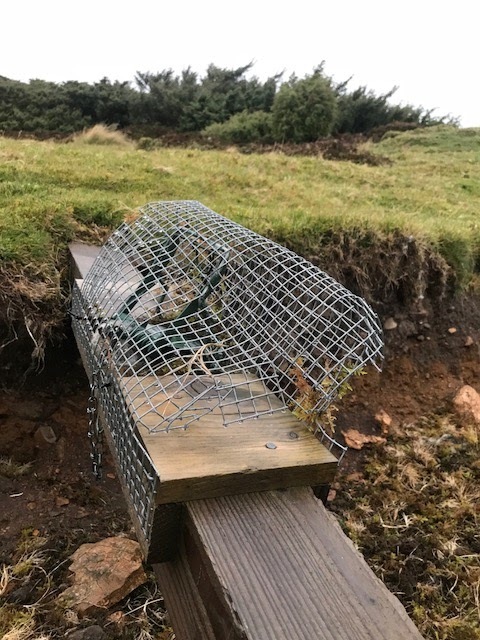 The SGA is pleased to announce to members that, following a consultation, additional time is to be given for replacement of stoat traps. Under the new Spring Trap Approval Order, announced by DEFRA and Scottish Govt, those who legally trap abundant stoats to protect ground-nesting birds will be given until January 2020 to replace the current Fenn-style traps with new AIHTS compliant traps. This sensible extension allows time for a new trap models to be developed and avoids the very real possibility of manufacturers being swamped with orders at the one time and people being devoid of compliant traps until orders can be fulfilled.